Hi Dolls! Welcome to "7 days of Fashion" day 2! I was really excited about this outfit because it is fun and flirty but still classy and not too bold! What I think was the trickiest thing to choose was the jacket as I wanted a statement piece that would not overdo the whole outfit. I chose the faux fur jacket in the same color as the bottom part of the dress, as it would blend with it but still look fabulous and speak for itself! Also, keep in mind that stripes play with volume and this pattern is flattering as the dark colors are wisely placed. Great dress and boots! Where are they from? P.S: Great idea with the quotes! I'm feeling inspired. Would ...you like to win a pair of Krack Shoes? Great Idea!! Love those posts!!! waiting for the next one!! ;)If you like my blog, perhaps you could follow me as well. I love the black top and the gorgeous shoes !! Love the striped top! I've never seen one like that before! xoxo- come visit me on my bloggie! I Love this outfit set so much! Those tights are adorbs! 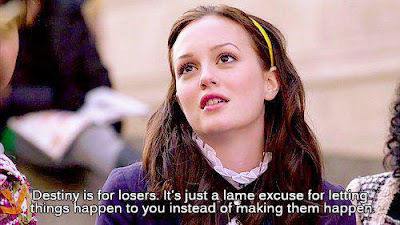 =D And I love how you quoted Blair Waldorf at the end. I'm totally obsessed with that show! This is a very nice putfit, I really liked those shoes! amazing suggestions! :) would you like to follow each other on GFC, facebook and bloglovin?? let me know dear:)) happy week!